Tis the season to get your drink on! It’s also the perfect time to give a gift that keeps on giving to that special drinker in your life. 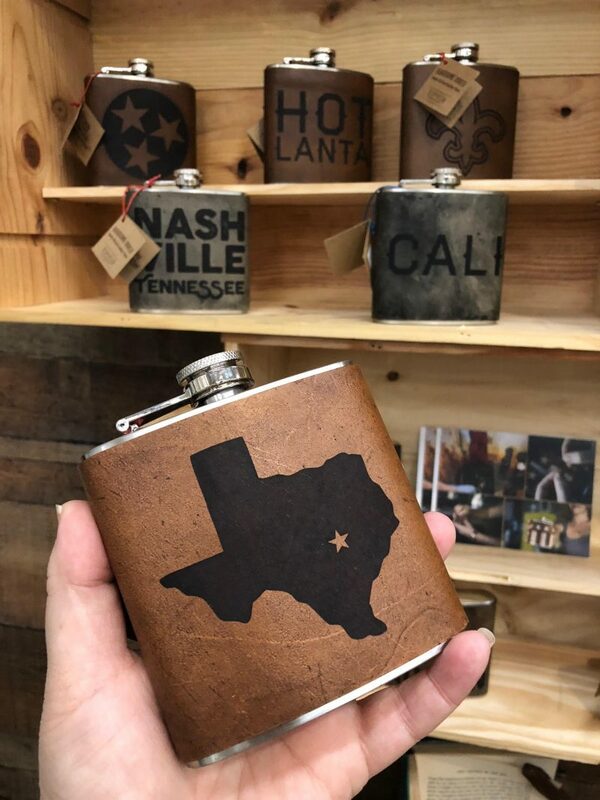 And to make that gift even more perfect, we found some of the best locally made glassware, flasks, accessories, and more. 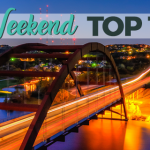 So, get shopping and do your part to keep Austin drinking. Humble Goods was started by Andrew Soderlind in early 2014 with the goal to provide quality goods with classic styling, yet made to last a lifetime. 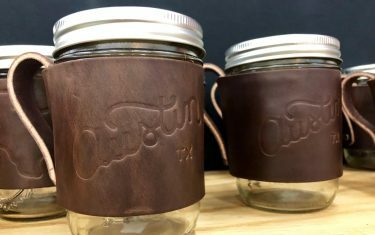 We could definitely spend our lifetime drinking out of these leather wrapped jar mugs. And we love that the company is dedicated to finding the highest quality and ethically made materials as local as possible. 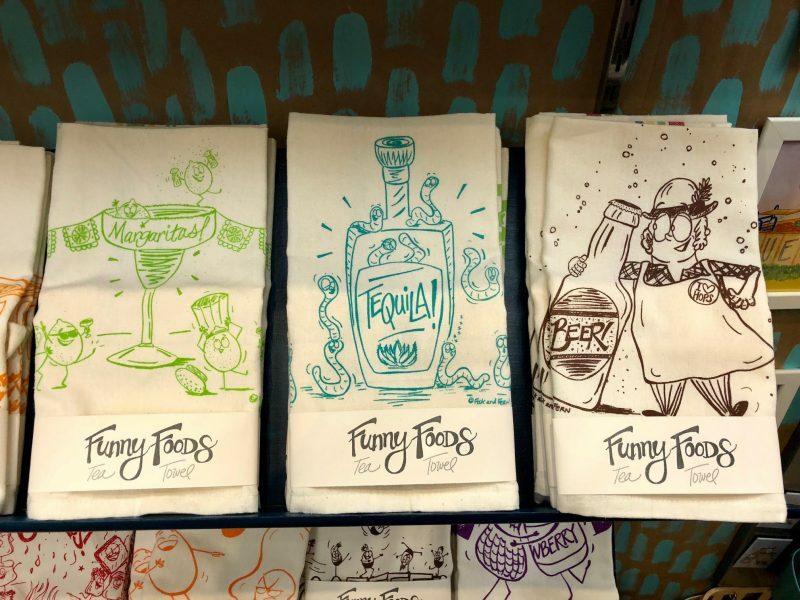 Owned and operated by illustrator Laura Fisk, Fisk and Fern features hand drawn characters interacting with tequila, margaritas, beer, and more. Her Etsy shop bio states that there’s always a good dose of silliness in the work, and that’s illustrated on these charming bar/tea towels we found at the Blue Genie Art Bazaar. You can see more samples of her work at her aforementioned Etsy shop. Photo via company’s Etsy page. 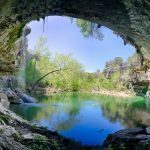 Touted as unique designs for unique people, Monster Dance Designs offers a variety of Austin themed glassware made right here in the ATX. 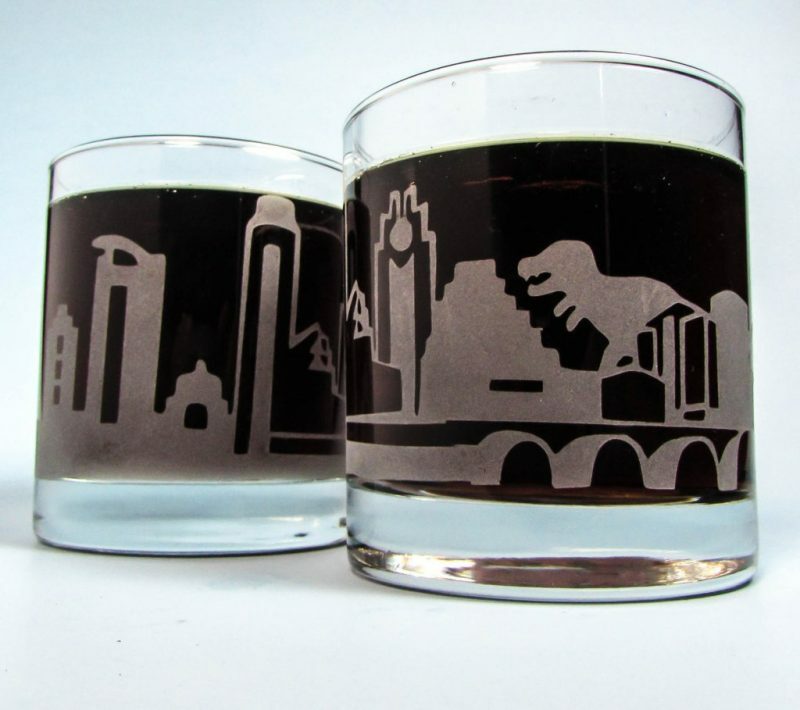 From the funky Austin Skyline T-Rex Attack to the more subtle Zip Code Customized Etched lowball glass, there’s something for everyone on your list. 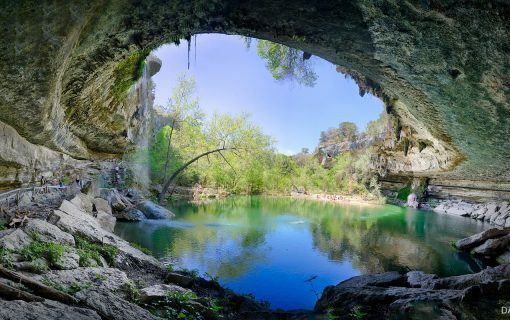 You can purchase items at the Austin Visitor’s Center and see all they have to offer online here. With a bit of inspired rebel, Espacio’s leather bound hand-stiched flasks are the perfect gift for the man (or woman) who has everything. 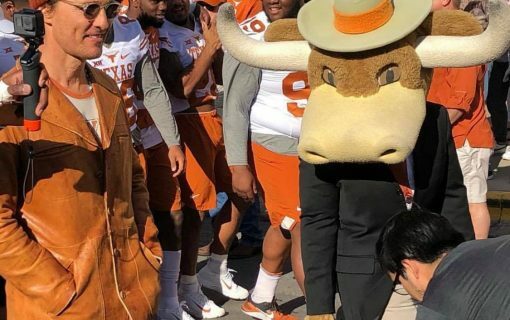 From Texas themed designs to the snarky Totally Not Booze Leather Hip Flask to something you customize yourself, this isn’t your typical tailgating gift. You can catch them at many of the holiday bazaars going on this month or check out all of their locally made items here. 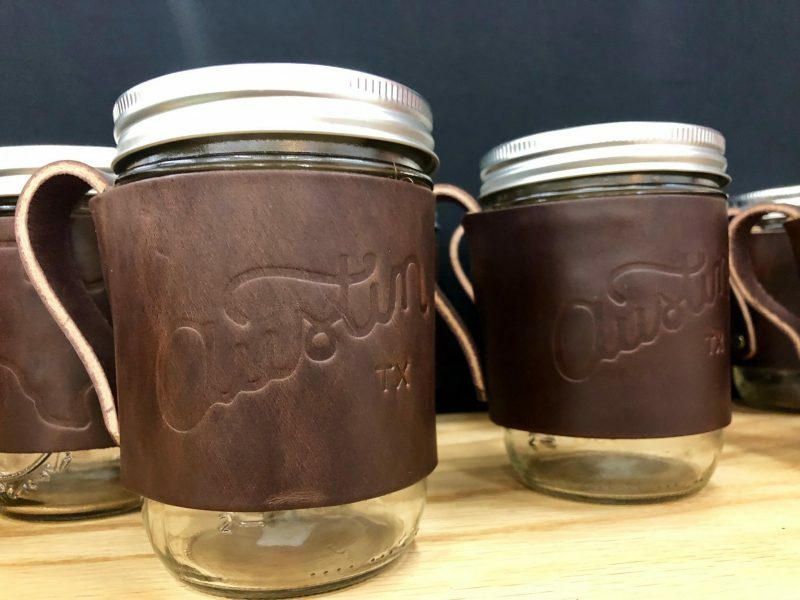 The holidays are always made a little more fun when your favorite liquor brands gussy up their bottles to create fun gift packaging with extra accessories to go along with a bottle. 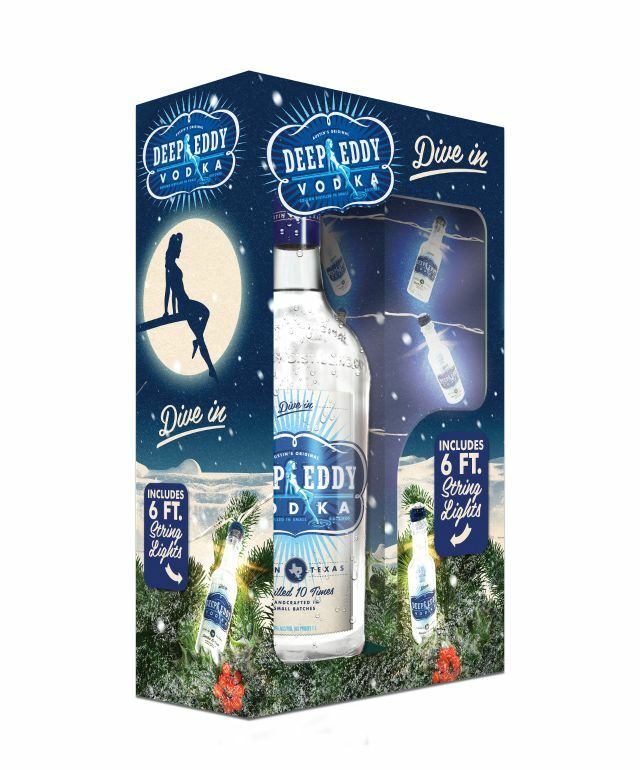 For 2018, Austin’s Deep Eddy Vodka has packaged their handcrafted, small batch Original Vodka with a 6ft string of adorable vodka bottle mini-lights for a festive look, along with a recipe for an apple spice cocktail. The gift boxes are available at select retailers in Texas and nationwide. Photo via company’s Facebook page. 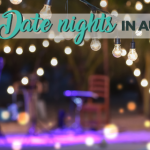 A bit different than your average wine themed candles, this Austin based company offers candles named Winery Tour, Hipster Bar, and Rosé Buddies. 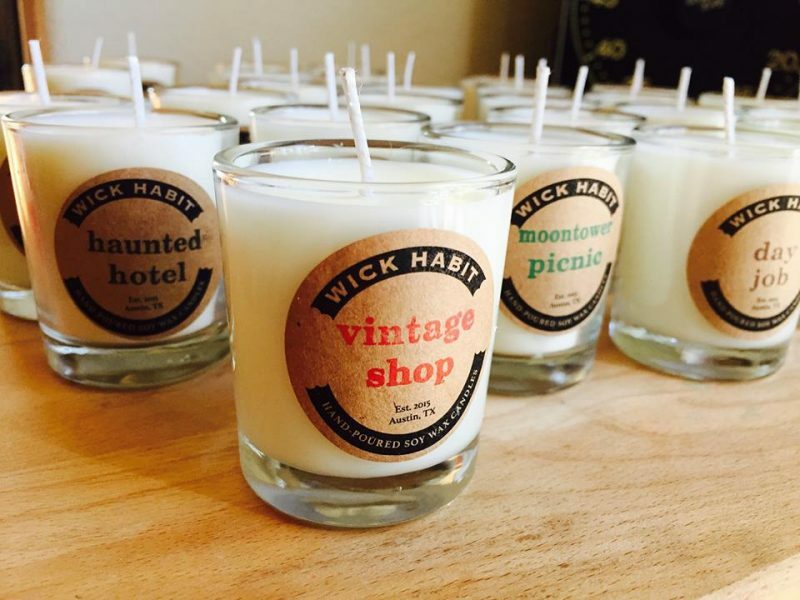 Wick Habit’s hand-poured soy candles tell a story of the things and places in and around Austin. Peruse the creative names and order your fave here. Now that we’ve mentioned wine, it’s only natural to feature some vino themed items next. First up are a few monogrammed items from Free Spirits ATX. Every item in the shop is customized and made right when you order. 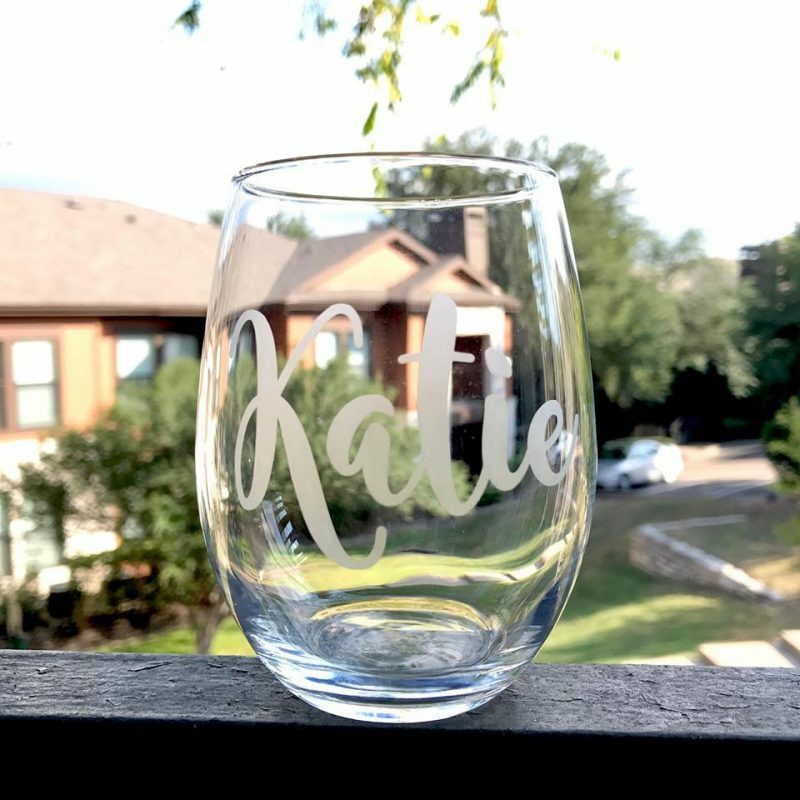 The company offers wine glasses, bottle stoppers, and can coolers so there’s a gift option for you no matter what your budget. Photo via company’s Etsy shop. TheBackPackShoppe claims conventional wine racks are extinct. 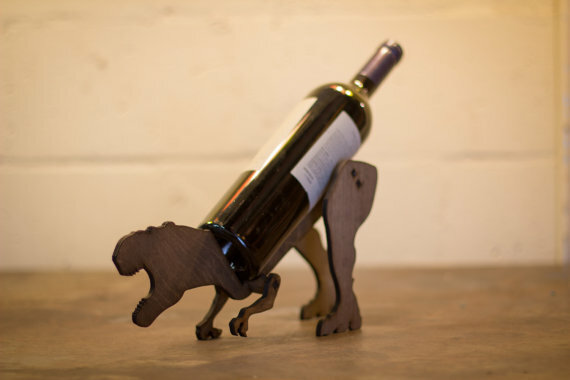 So, they offer this item they say is perfect for anywhere you need a prehistoric wine guardian. It makes a great decorative center piece, and is always a conversation starter. 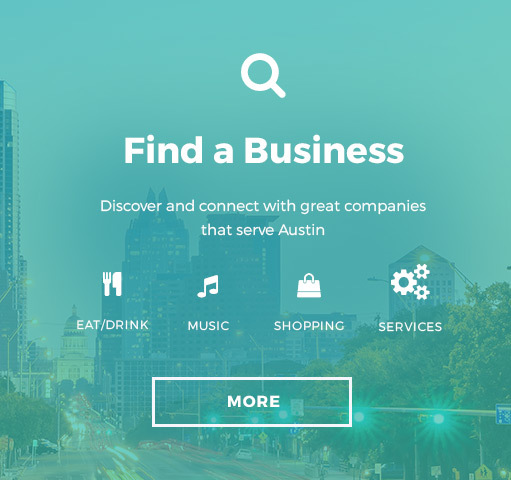 Hand crafted and assembled in Austin, you can see all of their dino designs here. RMC Woodwork offers items made from Texas woods like honey mesquite, Texas ebony, osage orange (bois’ de arc), walnut, and pecan, as well as imported hardwoods. While we’re drawn to the wine bottle stoppers, the company claims almost anything can be made out of wood upon request. Learn more here. 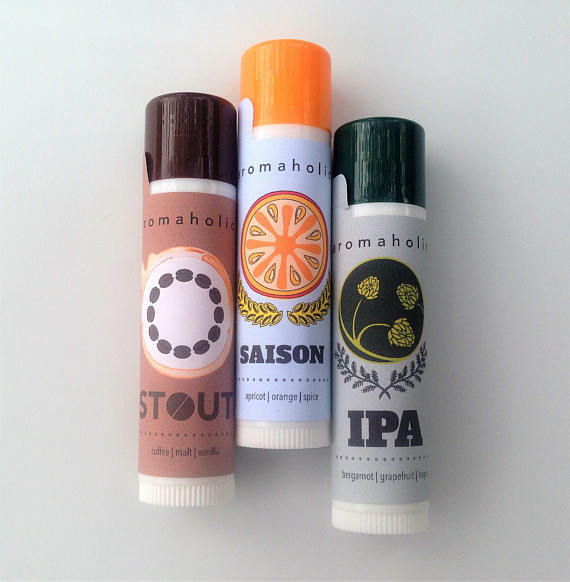 Armoholic offers craft beer flavored lip balms like IPA, Saison, and Stout as well as flavors inspired by Mimosas, Moscow Mules, Gin and Tonics, and more. Priced under $5, these tasty items make perfect stocking stuffers. Keep a look out for the brand at holiday bazaars like Blue Genie or order yours online here. 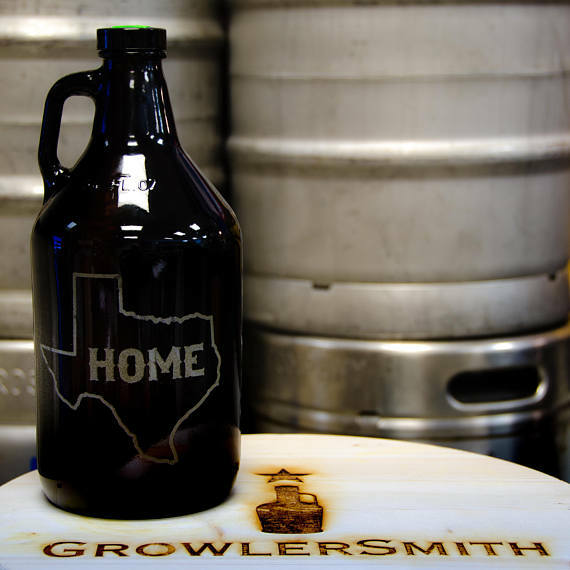 In business since 1999, Growler Smith offers custom and personalized beer growlers. But that’s not all! They also feature steins, pint glasses, goblets, tumblers, and much more. You can view and purchase items online here, or stop by the Growler Room in Austin on North Burnett. 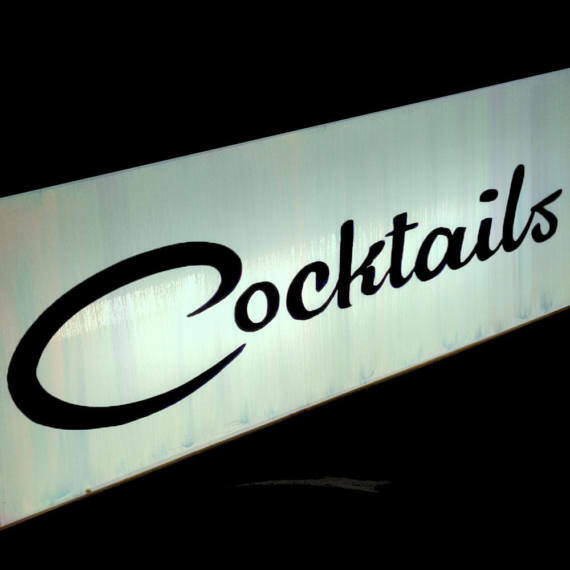 And last, but certainly not least, for the drinker who has everything for the bar, do they have their own signage? The team at VintaGoGo specializes in a number of vintage style hand painted and hand lettered custom signs, from their Art Deco Open Sign to their Midcentury Modern Custom Light Box. They craft each lighted open sign by hand at their shop in Austin, frequently using reclaimed, recycled, and reused materials when available. Browse their Etsy shop here. 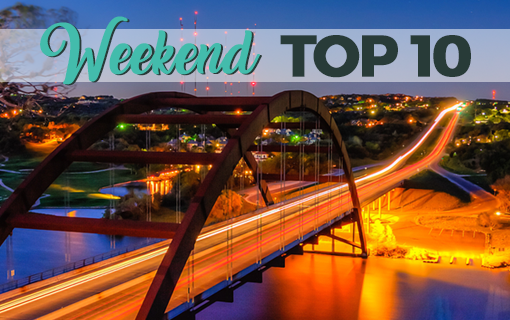 Of course, you can always hit one of our many local breweries or wineries for some swag or a bottle or two. No matter what, it’s the most wonderful time for a beer. Or a whiskey. Or a glass of vino. Or… you get the point! 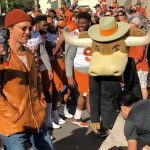 Featured photo by ATX Gossip.